For the most complete and luxurious fleet in the great state of Ohio, you've just landed in the best spot to find such luxury as you've never encountered! Below is but a small sampling of the varied and extensive choice of vehicles we offer. The reason we don't include everything is simply because we are always adding to our fleet, and removing the vehicles which no longer adhere to our very high standards. So, if quality is what you are looking for, look no further. We invite you to check out what we have to offer below. If you like what you see but, not in a size that you require... Be sure to get in touch with us. We are confident that we will have something that will fit your needs. 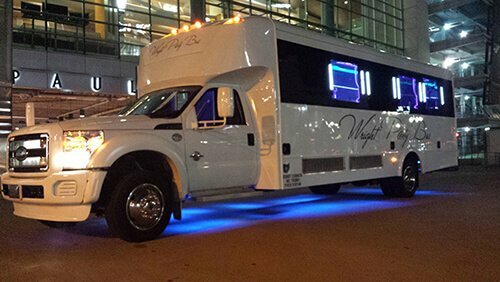 Our 24 Passenger Limo Bus is a modern vehicle to please all of your friends! This is an impressive option with a premium bar area and dancing poles, so you're sure to have a night to remember on this! Our clients like to use it for their bachelor and bachelorette parties, birthday parties, and even weddings and corporate events. You're sure to be noticed in this bus! It's easy to reserve it, so call one of our booking agents today. 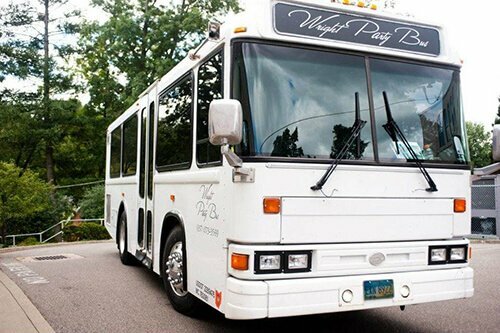 One look at this 28 Passenger Bus is sure to have you sold for a night of fun in Cincinnati! 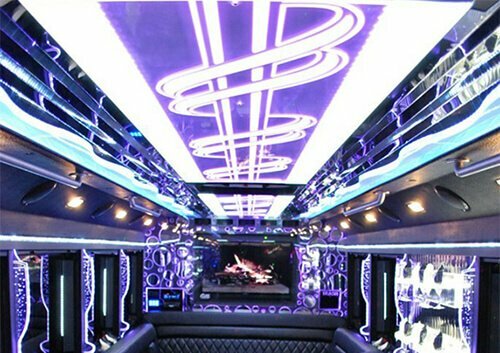 This is the perfect option for events such as weddings, bachelor and bachelorette parties, concerts, sporting events, and more. 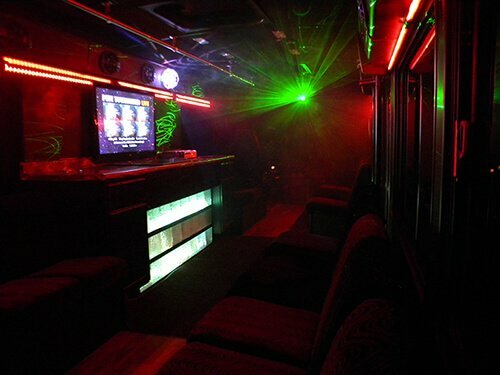 This bus is truly an event in and of itself, so invite all of your friends and have a great time! Clients love the newly installed leather seating, polished hardwood flooring, bar areas, tinted windows, and all of the other features. Copyright © 2018 Limo Cincinnati | www.LimoCincinnati.net | All Rights Reserved.